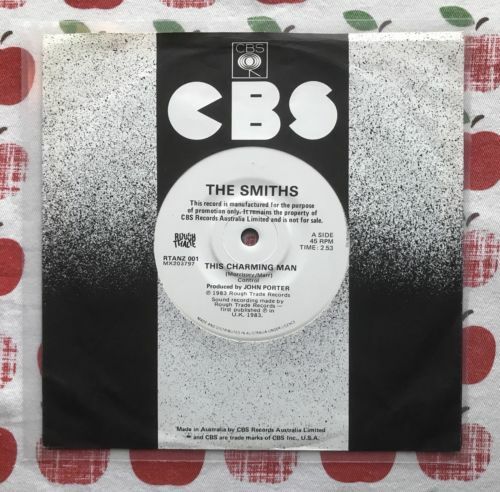 A beautiful and in excellent condition copy of The Smiths - This Charming Man promo Australian 7” vinyl single (Rough Trade - RTANZ001). What appears to be a brown mark on both sides of the record is just light reflection and the record is in excellent condition in fact near mint it is super clean and a stunning copy!!!!! Payment via PayPal or cheque and within 5 days please.